This unit addresses the skills and knowledge required to operate commercial vehicles safely. It includes the monitoring of traffic and associated equipment and, management of vehicle condition, and performance and effective management of hazardous situations. Licensing, legislative, regulatory or certification requirements are applicable to this unit. Provisional car licence must be held prior to commencement of this unit of competency. 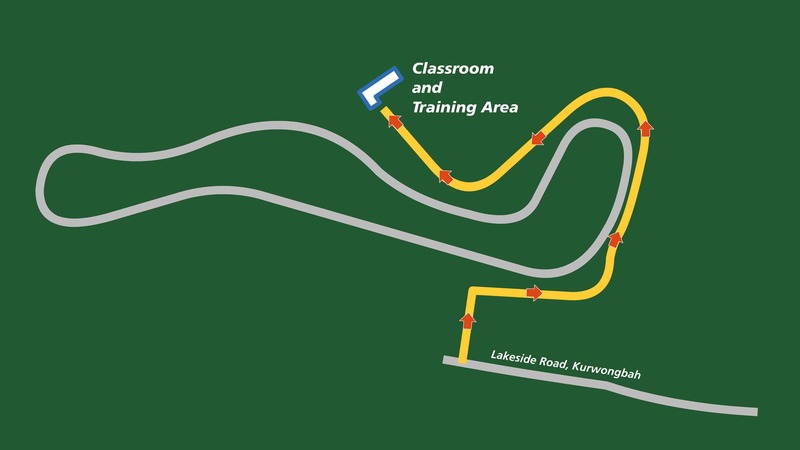 Option 1: Lakeside Park (Lakeside Drive, Kurwongbah) – the program runs from 8:30am to 2:30pm. On-site training and assessment is available. Travel and accommodation fees apply. Please call for a quote. For Watto Training courses, a sound understanding of English as well as basic English speaking, reading and writing skills are required. Further, applicants must have basic mathematical skills. Enrolment Application Forms include specific questions about educational experience and academic skills and need for LLN support. Pre‐Enrolment Short LLN Diagnostic Test in Reading and Numeracy is integrated into the Course Application Process. If a potential student has not completed any formal academic qualifications (e.g. Year 12 for diploma or advanced diploma) and other entry requirements, they will be directed to complete a short LLN diagnostic test in Reading and Numeracy (free of charge). Potential students who have completed the formal academic qualifications may also complete the test but this is not compulsory for them. If a student does not achieve the recommended ACSF level for the course in Reading and/or Literacy, Watto Training will advise them of this and discuss other study options with them. All students in this course MUST have a USI number. A Unique Student Identifier (USI) is a reference number made up of numbers and letters that gives students access to their USI account. A USI will allow an individual's USI account to be linked to the National Vocational Education and Training (VET) Data Collection allowing an individual to see all of their training results from all providers including all completed training units and qualifications. The USI will make it easier for students to find and collate their VET achievements into a single authenticated transcript. It will also ensure that students' VET records are not lost. The USI is available online and at no cost to the student. This USI will stay with the student for life and be recorded with any nationally recognised VET course that is completed. Q: What are the benefits of a USI? Q: If you do not have a USI or cannot get one, you can give permission for Watto Training to obtain one on your behalf on the course enrolment form. Candidates will require the use of a computer and the Internet. Research and further readings can be completed on the Internet and all written assessment items are to be word-processed. NB: It is acceptable for the assessment items to be typed by an assistant, however, candidates must ensure that all work submitted is their own. Neatly hand-written assignments will also be accepted. Mac OSX 10.4 or later. Microsoft Office 2003 or later running Word, Excel and PowerPoint. Recognise hazards and risks in a range of driving operation situations within the road transport industry. Respond appropriately to any changes in equipment, standard operating procedures and the working environment. Enclosed shoes (thongs and sandals are not acceptable). Clothing which will protect from the sun and will enable the candidate to move around under the bonnet of the vehicle, possibly lie on the ground to check under the vehicle and to complete a tyre change. A hat that will protect the candidate from the sun. A water bottle to fill with fresh water prior to taking part in the practical component of the course. N.B. alternate sites are possible, please contact us if to see if we can provide a service to your area. Full payment must be received prior to course enrolment. We have a number of payment options. A student who wishes to cancel their enrolment must give notice in writing. This may be via email or letter. Watto Training staff who are approached with initial notice of cancelation are to ensure the student understands their rights with regards to the refunding of tuition fees. The student is also to be advised of other options such as suspending the enrolment and re-commencing in another scheduled training program. Students who give written notice to cancel their enrolment and who are eligible for a refund are to be provided with a Refund Request Form. Student who may not be eligible but are requesting a refund should also be provided with the request form so the request can be properly considered by the Chief Executive Officer. Students who give notice to cancel their enrolment more than 10 days prior to the commencement of a program will be entitled to a full refund of fees paid. Students who give notice to cancel their enrolment less than 10 days prior to the commencement of a program will be entitled to a 75% refund of fees paid. The amount retained (25%) by Watto Training is required to cover the costs of staff and resources which will have already been committed based on the students initial intention to undertake the training. Students who cancel their enrolment after a training program has commenced will not be entitled to a refund of fees. Discretion may be exercised by the Chief Executive Officer in all situations, if the student can demonstrate that extenuating or significant personal circumstance led to their withdrawal. In these cases, the student should be offered a full credit toward the tuition fee in another scheduled program in-lue of a refund. Chief Executive Officer may also authorise a refund of tuition fees if the circumstances require it. Where refunds are approved, the refund payment must be paid to the student within 14 days from the time the student gave written notice to cancel their enrolment. Tuition refunds are to be paid via electronic funds transfer using the authorised bank account nominated by the student on the Refund Request Form. If for any reason Watto Training is unable to fulfil its service agreement with a student, Watto Training must issue a full refund for any services not provided. The basis for determining “services not provided” is to be based on the units of competency completed by the student and which can be issued in a statement of attainment at the time the service is terminated. Watto Training takes the privacy of students very seriously and complies with all legislative requirements. These include the Privacy Act 1988 and National Privacy Principles (2008). Please click on the following links for the Course Enrolment Form as well as the Student Handbook, containing information on our Policies and Procedures. Are you doing training in 2018? You will need a USI (unique student identifier). You can find out more information and create a USI at the USI website. I completed my Certificate IV in Driving Instruction (91000NSW) with Ian Watson's Driver Training Centre in March of 2006. Since then, I have twice upgraded to the superseding qualification both times also with the same RTO. Many thanks for a most enjoyable and informative course. Your trainers were extremely knowledgeable, things were thoroughly explained and practiced until I was completely satisfied. I obtained my certificate IV Driver trainer with Brendan Watson. I found him to be extremely professional and very caring towards anyone who enters the industry. We completed our Cert IV in driving instruction with IWDTC under Brendan Watson nearly 7 years ago. Jo only did car instruction, while I did everything from R-MC (bikes to B-doubles) over a period of time. Brendan Tailored the training to suit the requirements of our business needs. No request has been a problem and he has always been very enthusiastic and efficient to deal with.